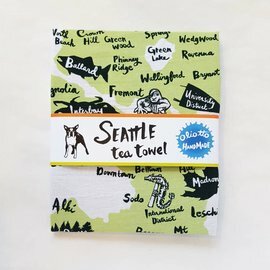 We love our home 'hood! 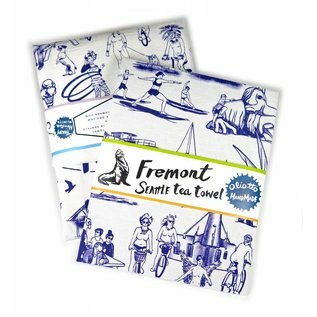 Fremont is a longstanding favorite Seattle neighborhood with many wonderful eclectic characteristics. 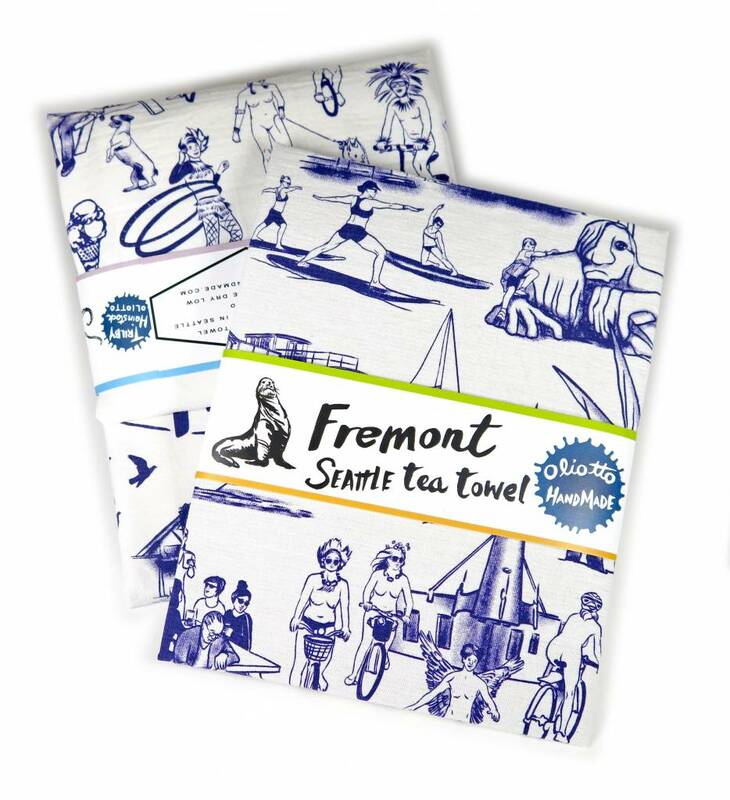 The Solstice Parade imagery and Fremont iconic landmarks were a delight to draw! 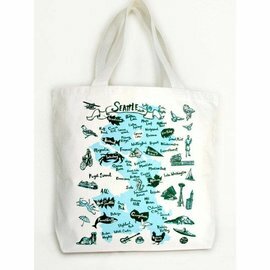 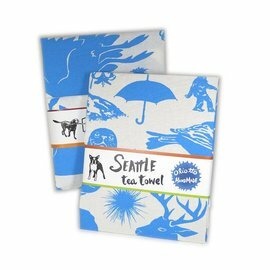 This tea towel is printed locally in a free-spirited dark purple ink.